As a man who writes a lot online, I am something of an expert in avoiding endless online discussions or arguments. Here are some words of wisdom. You’re welcome. Engage. Always engage. If they write something, write something back! Mock the other person’s character. The scurrelous twunt. Distract the other person by bringing up unrelated issues. If the other person brings up an unrelated issue, follow them into arguing about that. Exaggerate the other person’s claims. Smash your keyboard with your fists. Show that keyboard who is boss! Hyperventilate. This gets the blood rushing to your brain and makes you super smart. Argue against the claims you want the other person to have made, not the ones they actually made. Google nothing. Research is weakness. This is your enemy. Avoid it at all costs. Concede nothing. Conceding is weakness. Avoid relevant visual imagery or data. Discussions should be as abstract and metaphysical as possible. Assume that your alternate believes the same things as others who appear superficially similar to them. Ask nothing. Questions are weakness. Use long and unusual words. Not like me here. This language is stupid and makes me look like a scurrelous twunt. Better. Deny everything the other person claims as a matter of course. Make the discussion about your character and their character. The issues are secondary. They’re a bad person and must be made to recognise this fact. Once you have shown them they are a terrible person they will bow to your wisdom and accept everything you say. Never compromise. Compromise is weakness. Instead of having one or two strong justifications supporting a conclusion, make hundreds, even thousands, of superficial or nonsensical claims. When it comes to online discussions, more is less. A good argument is a like a Team Fortress 2 scattergun blast. Each claim (or pellet) is weak, but together, many weak pellets can take out a Heavy, assuming the Heavy has already been hit by a Sniper shot and set on fire. Take your first or least charitable interpretation of the other person’s argument and run with it. If they change their argument, keep attacking the original argument. Or better yet, keep attacking them as a person (see 14). Make jokes that are unfunny and miss the point. Provoke your opponent. They’ll appreciate your cleverness almost immediately. The object of a discussion is not greater understanding, or even entertainment. It is victory. Here’s a picture of Batman. This entry was posted in Highlights, Uncategorized on May 25, 2017 by Mungo Tatton-Brown. Hi everyone! Mungo here! I was away last month but I have returned! 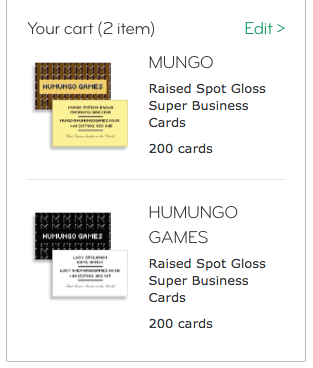 Here’s what has been happening at HUMUNGO Games. Yes! My wonderful artist Lucy has designed fabulous business cards for me and herself. They’ll be arriving this week. See ultra-high-res versions by encountering us in real life. Yes, my main game project is going to be called “Evil Badguy Fantasy RPG” once more, because you guys prefer that name. I’m not going to put up a screenshot though because the art is all in flux right now. 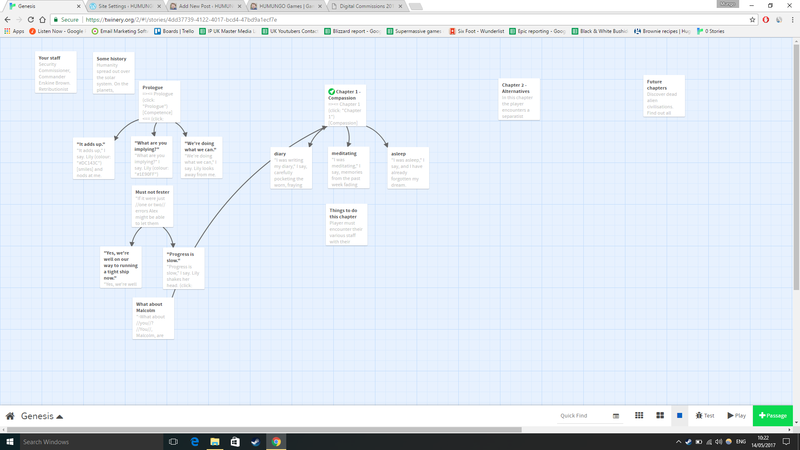 I’m using twine to make this, which is very easy and accessible. If you want to write an interactive story, check it out! 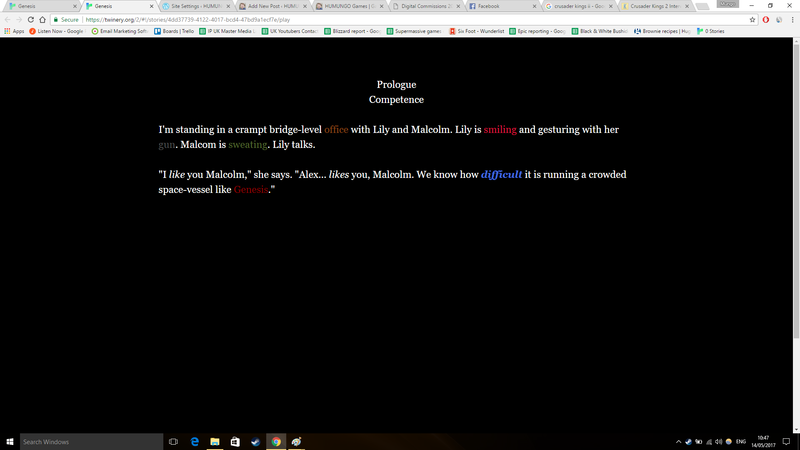 As you can see I’m only a few pages in, so there’s a long way to go before I have a pitchable demo. What makes me smile and want to jump up and down about it is that it will be genuinely unique and novel (plus also as high-quality and professional as you would expect of me :P). Most political games are all about stats – you basically make calculations so that you can maximise x over y, and all the effects are just abstract numbers. See the Democracy series, Tropico, Super Power and so on. 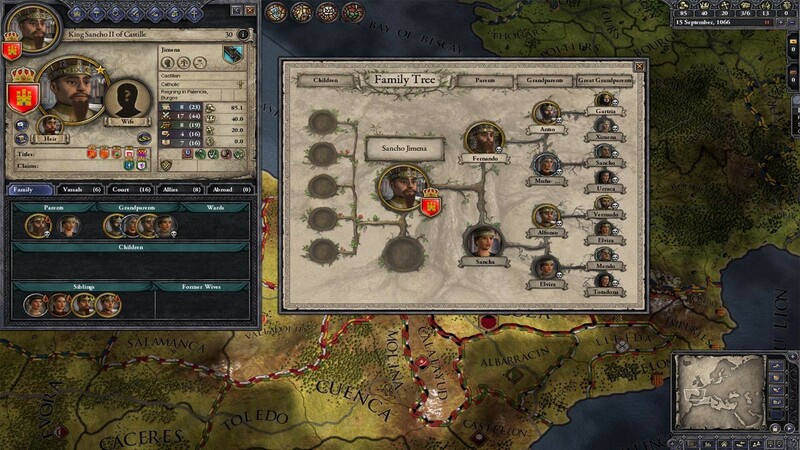 There are some great exceptions like Crusader Kings II, which simulates thousands of individual characters, with family trees, professions, aims and personality traits. Sadly I could not create this kind of thing by myself in a month. But what I want to do is to create a small, intimate political game with a cast of ten or so main characters, where you can really get to know them like a family over an hour of gameplay. These characters will be invested in the outcome of your decisions and they will judge you for your choices. 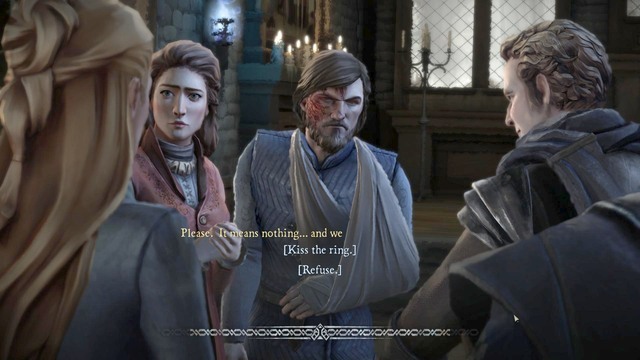 The closest parallel I’ve encountered to what I’m trying to do is Telltale Games’ Game of Thrones, which I would highly recommend to anyone interested in interactive stories. That is a brilliant game, but was sadly hampered by being tied into an existing franchise. Your aim is to try and survive as a small family in the face of the evil Boltons, but you know you can’t do diddly-squat about Ramsey because that would ruin the series’ continuity. My game will be shorter, with only one main character, and no tie-ins to any franchises. This means readers cannot be certain of anything when they open up the story. And it also means that I can hopefully write in a reasonable range of consequences for player decisions. It won’t be Game of Thrones-style people-die-all-the-time stuff, rather the choices the reader makes will affect what their staff think of them, will change the environment of the ship, and ultimately will shape what happens to Genesis and the last humans left in the universe. No biggie. Gameplay screenshot. Your character has vivid colour experiences. Read into that what you will at this stage. I won’t spoil it for you. This entry was posted in Evil Badguy Fantasy RPG, Genesis, Uncategorized on May 14, 2017 by Mungo Tatton-Brown.